Get the 888 Android app on any mobile device by following our simple steps below. Sign up with 888 Sport before installing the app to get the best signup offer. One of the best-known sports betting sites around, 888 has been serving customers for almost two decades. Always standing out from the rest of the crowd with their superb offers and promotions, they have taken it a step further by offering a dedicated 888 Android app. First click the “Sign Up & Claim Signup Offer” button above to register and get the best signup offer. If you miss this step you might not get the signup bonus through the app. Once downloaded, launch the App, login and start enjoying our games! Please note: The 888 App is only available for players in the UK and Ireland currently. 888 Mobile will now appear on your home screen to access just like an app! Once downloaded you can start to enjoy all the benefits of 888 sports on your Android device. 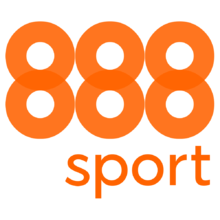 The 888 Sports app represents a great answer for all those looking to place their bets on the go. It offers all the features that one can find on the bookie’s main site, but it represents a much more convenient solution for punters who prefer using their mobile devices to back their favourites and for those who love in-play betting. New customers only – Minimum deposit of £10 using deposit code 30F – A qualifying bet is a ‘real money’ stake of at least £10 placed on any sports market – Minimum odds of 1/2 (1.5) – Free bets credited upon qualifying bet settlement and expire after 7 days – Free bet stakes not included in returns – Deposit balance is available for withdrawal at any time. General deposit method & withdrawal restrictions apply & full T&C’s here. Why Use The Mobile App? As expected from one of the leading sports betting providers, the app offers loads of distinctive features. Designed to create an enhanced user experience and help you with your betting efforts. The app delivers a simple and highly functional interface but also gives you a wealth of gambling options. Lots of fun to play on this app with a good solid mobile experience. It may not have all the bells and whistles some of the big players have but it's got everything you need in a mobile sports betting app.